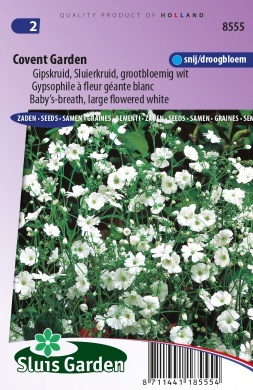 Baby’s-breath is a good cut flower and dried flower. Looks very pretty in bouquets. 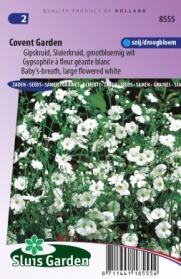 Can be sown fairly early as it resists the cold well. It does, however, prefer calcareous soil that is not too wet. When pre-sowing, transplant at the indicated distance when they are sufficiently large.